Like the election of the President of India, the election of the Vice-President is also an indirect election. But there are some major differences between the President’s and Vice-President’s election process. 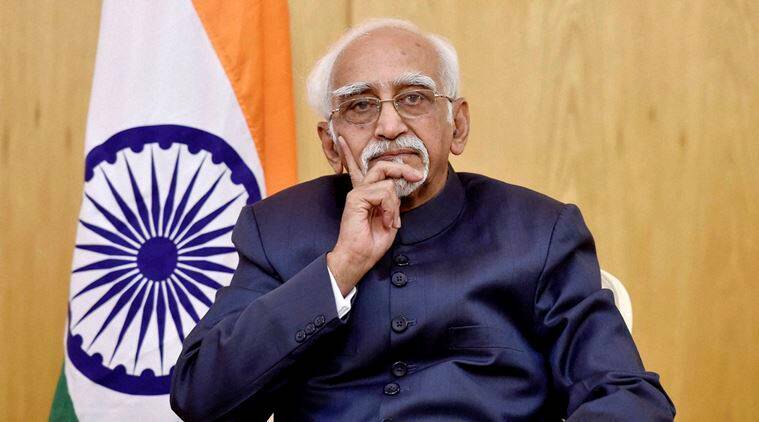 Like the President of India, the Vice-President is also not directly elected by people. He is elected directly by the representatives of people, i.e., Members of Parliament (MPs) from both the Lok Sabha & the Rajya Sabha. Even nominated MPs from both the houses are eligible to vote in this election. The following are the mandatory requirements for anyone to contest the election for the Vice-President of India. Apart from the above conditions, the nomination paper of a candidate has to be signed by at least twenty (20) eligible voters as proposers and at least twenty (20) eligible voters as seconders. Here the voters are the MPs of the both the houses and not citizens. A voter cannot propose or second more than one candidate. What is the value of vote of each MP? Unlike in the President of India’s election, the value of the vote of each MP in the Vice-President’s election is ONE. It has to be noted that nominated members of both the Lok Sabha & the Rajya Sabha are also eligible to vote in the Vice-President’s election. The total number of voters in the Vice-Presidential election is 790. The number of voters from the Lok Sabha is 545 (543 elected & 2 nominated) while the number of voters from the Rajya Sabha is 245 (233 elected & 12 nominated). How is this election different from the Presidential Election? There are some major differences between the election of the President & the Vice-President as noted in the table below. The election happens through a ballot paper, that contains names of the contesting candidate. The ballot paper does not contain any election symbol. There will be two columns in the ballot paper, Column 1 of the ballot paper contains the heading “Name of Candidate”, and Column 2 contains the heading “Mark order of preference”. Each voter can mark as many preferences, as the number of candidates contesting the election. These preferences for the candidates are to be marked by the voter, by marking the figures 1,2,3, 4, 5 and so on, against the names of the candidates, in the order of preference. After the valid ballot papers are segregated from the invalid ones, the valid ballot papers are distributed among the contesting candidates on the basis of first preference marked on each of them for those candidates. The value of votes which each contesting candidate gets in the first round is the number of first preferential votes received by him. For ascertaining whether there is a winner after the first round of counting, the value of votes received by each contesting candidate in the first round of counting is added up to determine the total value of valid votes polled at the election. This total value is divided by two and one is added to the quotient to determine the required quota for victory. If any of the candidates receives this number of votes in the first round, he is declared a winner. If, however, after the first round of counting, no candidate secures the required quota of votes, then the counting proceeds on the basis of a process of elimination and exclusion, whereby the candidate credited with the lowest number of votes in the first round is excluded and all his ballot papers are distributed among the remaining candidates on the basis of the second preferences marked on these ballots. The value of such transferred ballot papers will be the same as the value at which the excluded candidate received them. The ballot papers on which second preference is not marked is treated as exhausted ballot papers and shall not be further counted, even if the third or subsequent preferences are marked. This process is continued until there is a clear winner with 50% +1. The provisions of the anti-defection law are not applicable to the Vice-Presidential election since the voting is through a secret ballot. The voters can vote according to their conscience and are not bound by any party whips. The Vice-President is also the ex-officio Chairman of the Rajya Sabha and he chairs the proceedings of the upper house of parliament. Next Article Are you a victim of ‘Online Bank Fraud’?